Our range of publications is a key aspect of our ability to connect brands and the lifestyle industry with High Net Worth Individuals. 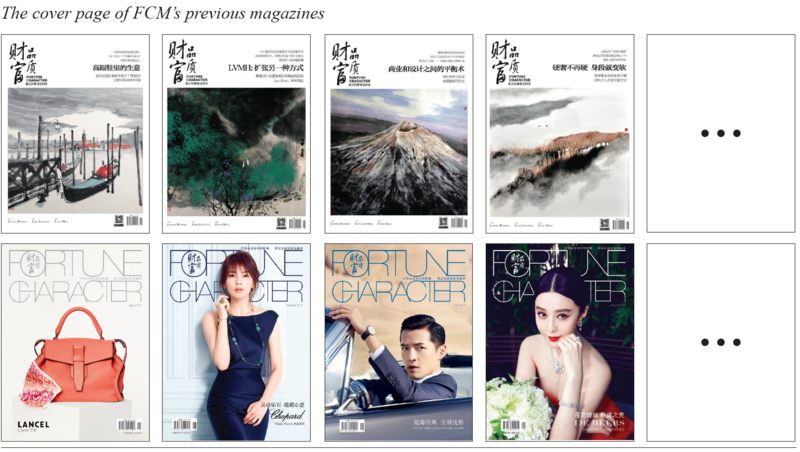 Fortune Character is a monthly glossy magazine in its tenth year. From style to shopping, home to health, the magazine is informative and inspirational and is posted to the primary home address of more than 120,000 readers. The sister publications, China Luxury Report, and Lifestyle Report, are required reading as key references for the industry and financial institutions, particularly domestic and international wealth managers. As well as print media we engage our membership via social media through exclusive accounts. We work closely with the best industry and mass media in China. They help extend and enforce our messages.